Glass doors are common in New Zealand homes. Glass doors are cold doors. South-facing glass doors are especially cold. 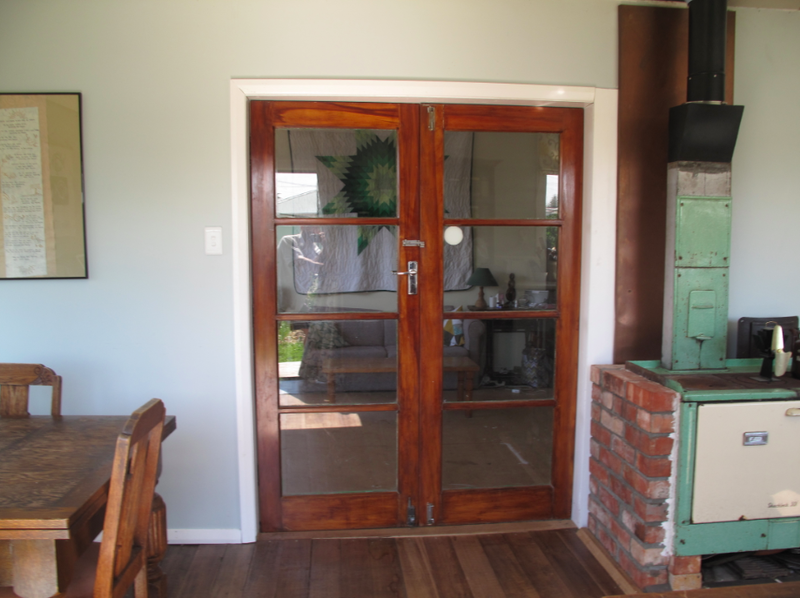 Here is a cheap and easy way to retrofit a four panel rimu glass door into a warm and cosy door. First, find yourself a comfortable working area and lay out the door. Next, cut insulation to cover each glass panel on both sides. Finally, cover with thin ply, hardboard or other suitable material. I used the waterproof wallboards that we removed from the old laundry when we extended our kitchen. They were just sitting in the shed. Hang the insulated door and paint the lot. Not 100% flash, but a very high performance door at a low price. No Depression in New Zealand…and no cold, damp homes either. Editor’s note: Here is another weekly column in the Wanganui Chronicle. John Maslin recently wrote an editorial for the Chronicle titled: ‘Get real’ on heritage protection. Given the number of heritage buildings in our city and the cost of strengthening them, a realistic approach is certainly in order for progress to be made. Blam Blam Blam did not win the Silver Scroll, but I am happy to honour the song for the rest of this column as it reminds us to be suspicious of spin doctors and their reluctance to recognize facts. And there is no depression in New Zealand. Tony Sewall , head of Ngai Tahu, the biggest developer in the South Island, has sent teams around the world to investigate building materials prices. Quotable Value statistics indicate that identical medium-sized homes built in New Zealand and Australia cost Kiwis $20,000 to $32,000 more than Aussies. This is not because Australia has higher regulatory costs. Cheaper Option: On and off the shelves just like that. One final issue on the ‘get real’ front for this week. The Whanganui Regional Health Network (WRHN) recently flooded all three local papers with the same article asking for money from philanthropic organisations to support an insulation programme that has been under-funded by the current government. At the same time, we have a local MP who never hesitates to point out how many homes in the District have been insulated under his watch. To be clear, here is a government agency asking for private donations because The Government has not provided enough funding for a government programme. Meanwhile, a representative of The Government is taking credit for the grand success of the programme. But on the other hand, this could all just be hype. After all, there are no cold, damp homes in New Zealand. Side bar: Want to ‘get real’ about healthy homes in our community? A group has formed to look into the possibility of forming a trust that will address the issue of housing performance while creating jobs for local youth. Please contact me if you are interested. The Irish builders have been copping it lately for substandard work during the Christchurch rebuild, but I reckon there is enough dodgy building work to go around. Here are a few things to keep in mind. It wouldn’t take more than an inch of 40-year-old ‘insul-fluff’ for the average pre-purchase home inspector to tick the box for ceiling insulation. The average homebuyer would trust the property inspection report, buy the home, and then spend the next decade or more shivering in a cold home. Don’t trust these guys on the topic of insulation. Here’s why: For the most part, they are the same people that built much of the low quality housing stock that New Zealand suffers from. Think about it. A property inspector is a retired house builder. Most houses built in the last 50 years are under-insulated and cold. These are the guys we are trusting to assure us the large investment we’re about to make is fit for purpose. It’s a bit like allowing the Wall Street tycoons who crashed the world economy to be the guys to help ‘reform’ the financial system. If you are looking to buy a home, make sure you bring a ladder and a torch. Pop your head above the ceiling. If you can see the ceiling joists then the ceiling is under-insulated. It does not mean you shouldn’t buy the home, but it might mean you can negotiate on price. Lesson Number Two: Never trust a plumber or electrician to put insulation back in place after they have removed it to do work. Many of you reading this column right now are living in homes with small and large sections of the ceilings completely uninsulated. If you have had a sparky or a plumber in your ceiling cavity anytime during the last two decades, I strongly advise you to get a ladder and a torch, and to have a thorough look. 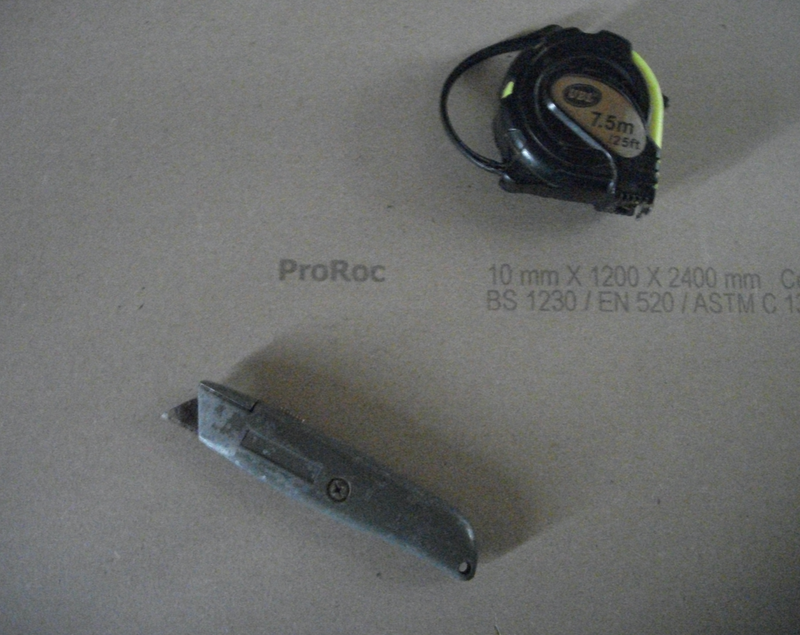 Recently I was shocked by the actions of a very experienced and very pricey plumber who did some work at our home. About three weeks after he left I had reason to visit the ceiling cavity to reload bait stations for mice, rats and possums. 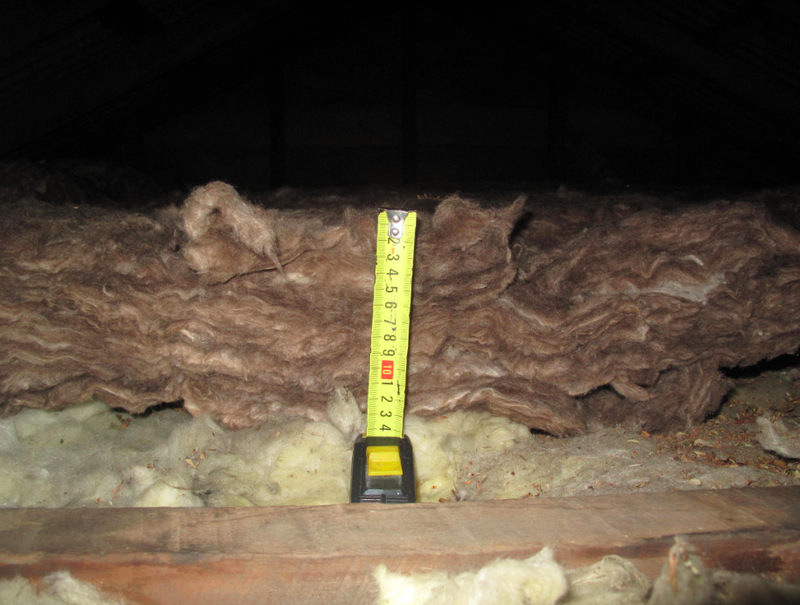 I was shocked to see a large amount – and I mean LARGE amount – of recently installed insulation piled up against the flue for our wood burner. Aside from the portion of our ceiling that went three weeks without insulation, stacking batts against a flue is obviously a fire hazard. Negligent is the kindest word I would use to describe this particular plumber. Many houses built today are destined to be cold homes due to poor design and under-insulation even though they “pass inspection” according to the letter of the law. 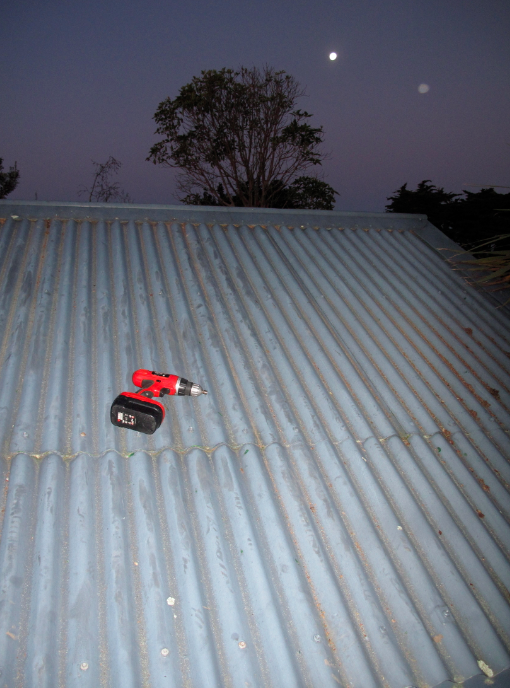 The current building code “minimum” for ceiling insulation is R 2.9 for this region. That is not enough. Don’t settle for a minimally insulated home. By international standards R 2.9 is meager. Throw in a couple dozen down lights and you may as well be living in a 1950s state house. The take away for all three lessons above is this: If you can see your ceiling joists at all then your ceiling is more than likely under-insulated. 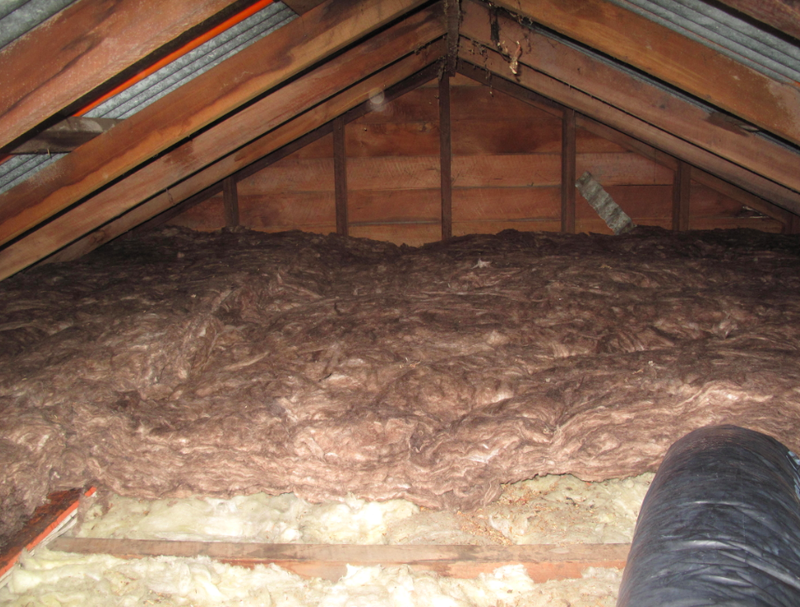 You’ll need to put the insulation back in place from the tradesmen’s visits and then top up with blanket insulation over the joists and existing insulation. 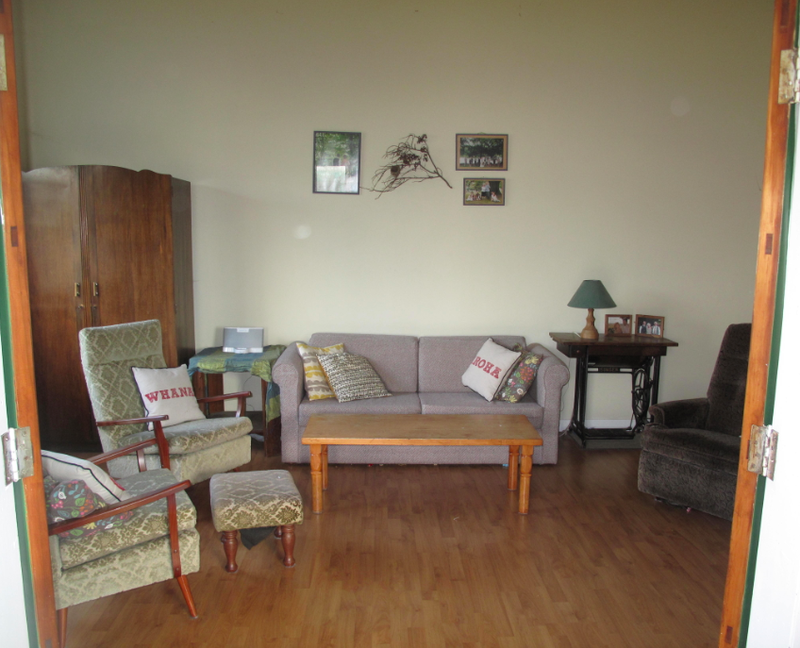 We have topped up with R 3.6 and except for a negligent plumber we have a fairly cosy home. Got the message? Get the ladder! Don’t say you’ll do it next week because you won’t. Put down your paper right now. Put down your coffee. Get that ladder and go! In any home, there are two major factors for winter comfort and health: temperature and humidity. A warm, dry home makes the human body feel good, and keeps the immune system strong. Conversely, cold, damp homes do just the opposite. 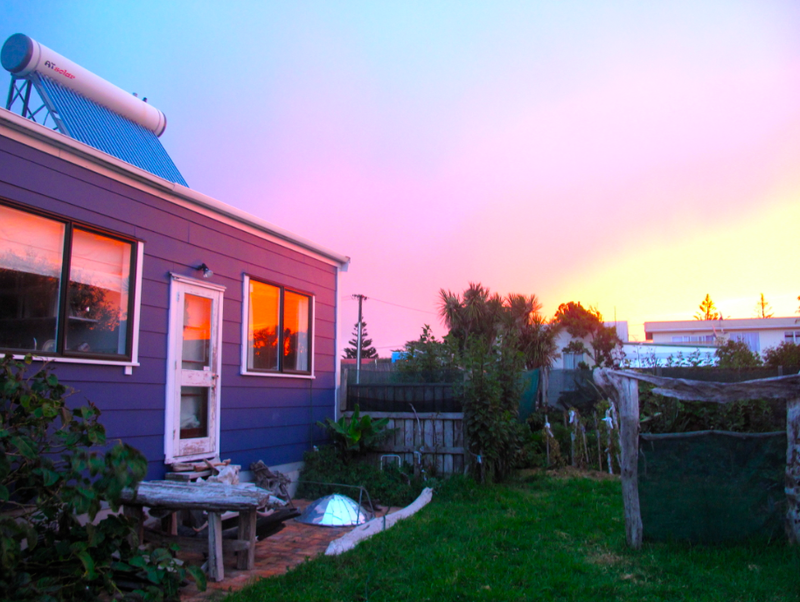 Unfortunately, New Zealand housing is known more for the latter than the former. 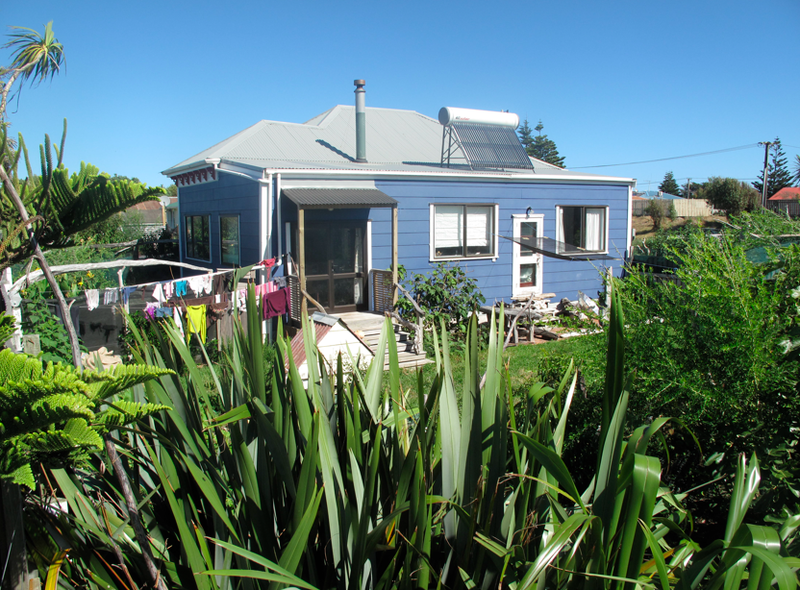 It has been easy to forget about the sad state of NZ housing while living in our passive solar, super-insulated villa in Castlecliff. The temperature never dropped below 14 degrees even when a frost carpeted the ground outside, and the relative humidity never rose above 50%. It was easy to maintain a healthy home for our young daughter while paying power bills in the low double digits. Now that we have shifted, we are confronted with the challenges of living in a cold, damp, draughty home. While the new house and property have huge potential, the living conditions during our first weeks of residence have been a shock to the system. We have had a few mornings of 10 degrees in the lounge, and a relative humidity consistently around 70%. It has been difficult to keep our daughter’s bedroom above 16 degrees overnight, and I suspect the high humidity contributed to her recent illness. I anticipate that our first power bill will be well over a hundred dollars – more than three times dearer than our previous high. Taking possession in the middle of winter has added an element of urgency to improving the health and comfort of the home. With limited time and budget, I had to prioritize the first best steps to take. Using eco-thrifty thinking and an understanding of how energy and moisture flow through a structure, I focused on a number of low-budget / high-performance strategies. Shifting from a villa on free-draining sand to a bungalow on clay has meant that rising damp has gone from a non-issue to a huge concern. 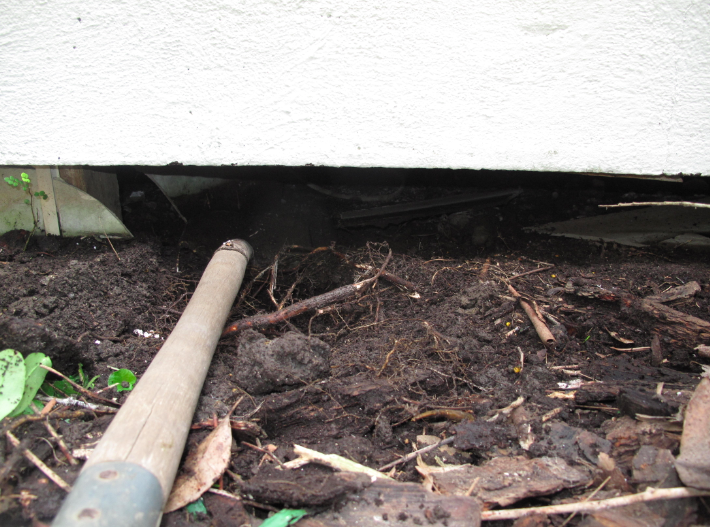 Up to 40 litres of water vapor enters the average Kiwi home every day from the ground beneath it. 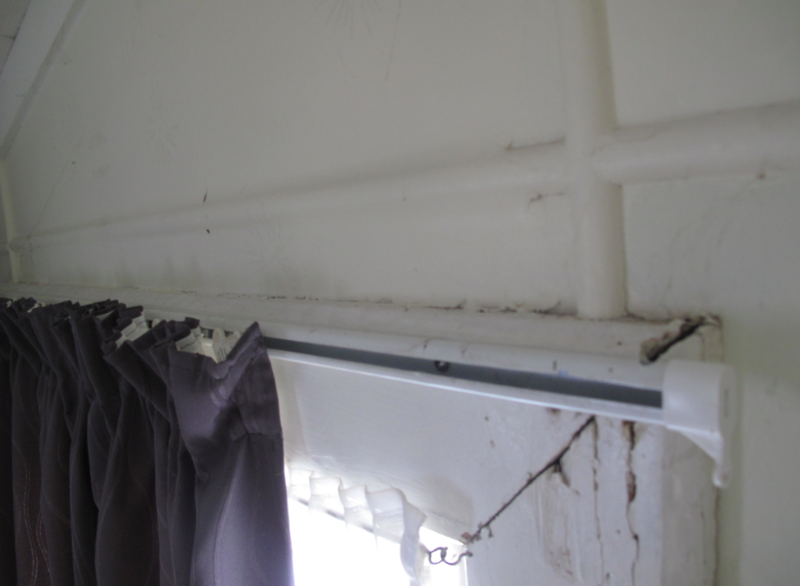 A lack of adequate ventilation under our bungalow may mean that we receive even more than that daily dose of damp. While the long-term option for dealing with this is to install polythene sheets as a vapor barrier, a short-term solution to get us through this winter was to break out a piece of Hardie board opposite the access way to allow the wind to cross ventilate. The next low-budget and high-performance weekend chore I undertook was simply trimming back a vine that was blocking midday sun from entering the lounge. The winter sun is a free heater and the vine was acting like a wall plug switched off. Ultimately, a number of trees to the north will also need to be felled to improve passive solar gain. With more free heat entering our home, the next important thing to do is to hold onto it as long as possible. 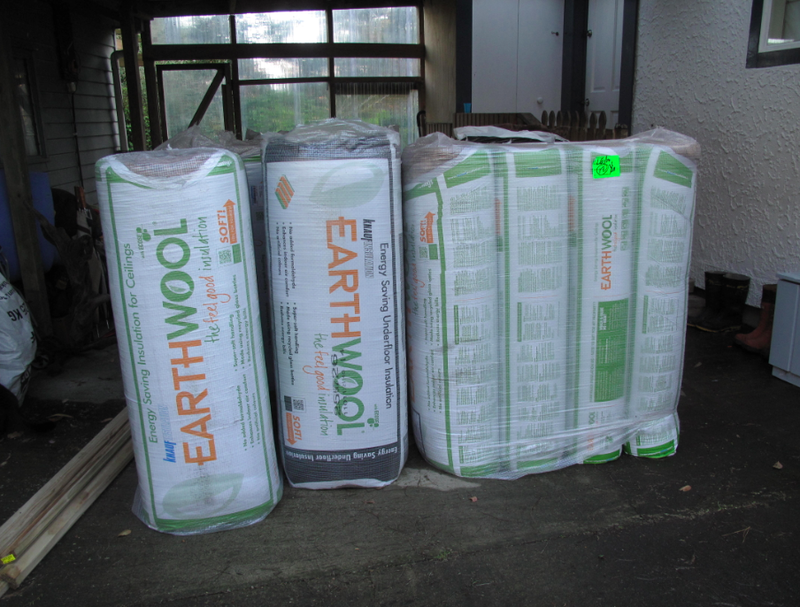 As described in last week’s column, that meant topping up our ceiling insulation with wool/fiberglass blankets to an R-value of over 5.0 – nearly twice the requirement of the NZ building code. But as that extra warmth is held in by our ceiling, it “stacks” downward only to radiate quickly through the single-glazed windows (R-0.15). 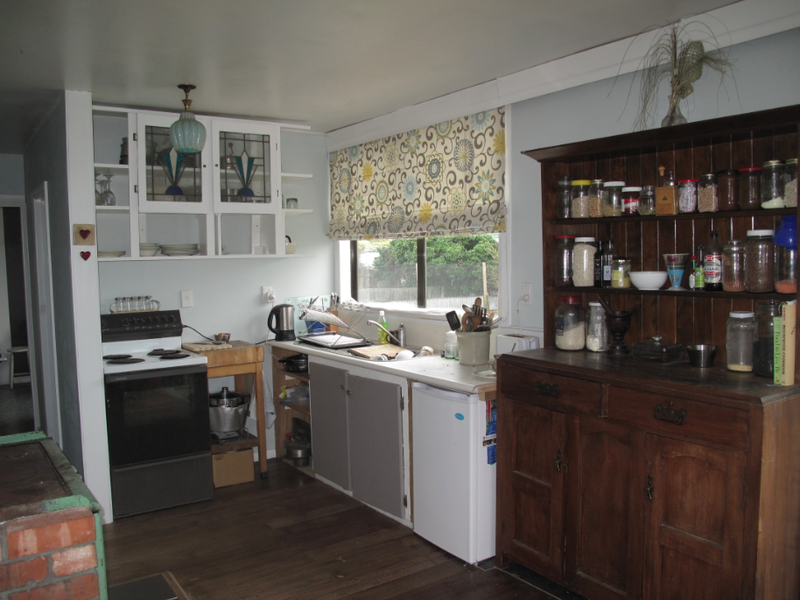 Windows and glass doors are the weak link in most Kiwi homes, and until we can all afford double-glazing, we endeavor to use curtains to their greatest potential. Just as we layer up with clothing on a cold day, we should cover our windows with a minimum of two layers of fabric and strive for three. By luck I found some ready-made Roman blinds deeply discounted and bought the lot. 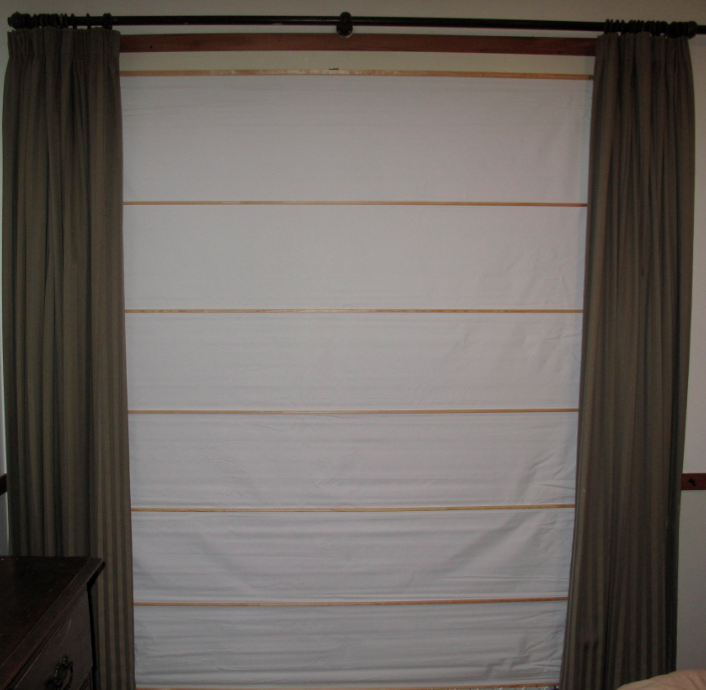 It took about 20 minutes to install each blind behind the existing curtains. One weekend’s work and less than $1,000 has improved the health and comfort of our new home by leaps and bounds. And this is just the beginning. Coming 7th – 14th September: Adult & Community Eco-Literacy Week. 9th September, 6:00-7:00 PM. Solar Energy. Josephite Retreat Centre, Hillside Terrrace. No matter which side you supported in the FIFA World Cup, the Super Rugby final, or the current Rugby Championships, one thing on which almost all of us can agree is that heat rises. While this is not to omit the possibility of a strongly opinionated letter on the contrary to the Chronicle by an avid physics denier (you know they’re out there), it is less likely to stir anyone’s ire when compared against evolution, climate change, a flat Earth, the ability of the Green Party to “create jobs” or the spelling of our city’s name. Some days when I read the Letters page and an article about any given council meeting I think it would be most appropriate to change the name of our River City to De-Nile. At any rate…back to the topic at hand. When thinking about how to improve the warmth and comfort of a home, insulation decisions are best made from top to bottom. In other words, spend your insulation dollars first to top up your ceiling insulation to an R-value of over 4.0. Please note that the building code calls for ceiling insulation to be a minimum of R 2.9, but why settle for this minimum, which is low by world standards? We know that power prices have doubled in the last 10 years and that a mathematician would strongly suggest this trend will continue. A decade from now do you want to be stuck with a marginally mediocre minimum of insulation over your head? Not me! 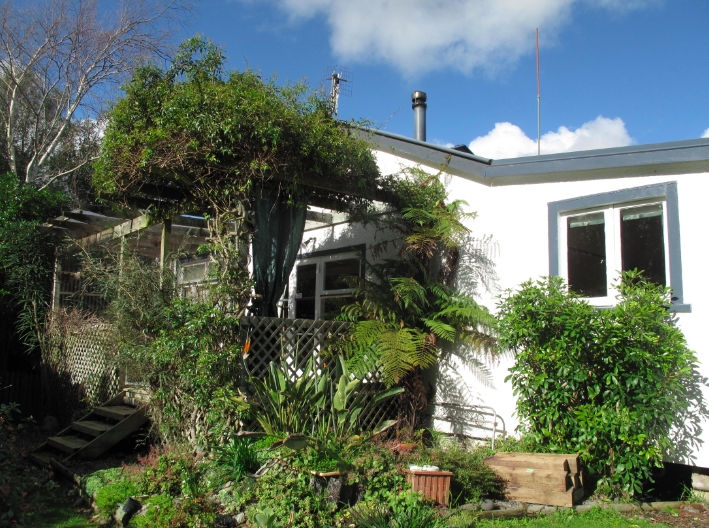 After pumping tens of thousands of dollars into the Whanganui economy over the last four years by converting an abandoned villa into a high-efficiency healthy home, I am doing it all over again. Yes, I am so committed to supporting our local businesses and tradespersons that I have continued my campaign to retain dollars in our local economy rather than sending them to power companies in Auckland, Wellington and Christchurch. When I got home Friday from back-to-back 10-hour days of work, my weekend was sitting in the carport waiting for me. Not a new ATV. Not a Jet Ski. Not even a mountain bike. Instead I was faced with $2,000 worth of insulation and polythene. I’ve written about polythene recently, so I’ll stick to insulation today. Pay attention – this is important. In case you missed it above, the minimum requirement for insulation in NZ homes is pathetically low and power prices are on track to double in ten years. 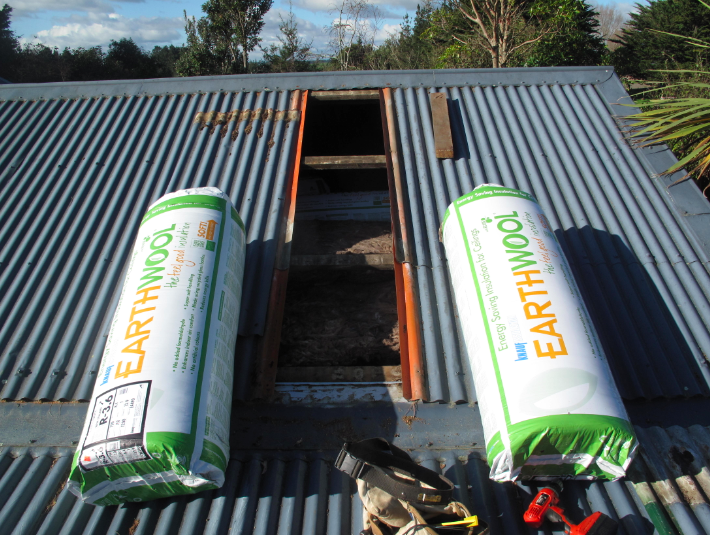 With both of these factors in mind, an eco design perspective calls for a total R-value (existing insulation plus top up) of 4.0-plus in Whanganui, and 5.0-plus in Ohakune, Taihape, and anywhere in the upper Parapara. An eco-thrifty design perspective suggests the best strategy for topping up ceiling insulation is low-cost and high-performance. Too good to be true? Oh, ye of little eco-thrifty faith. 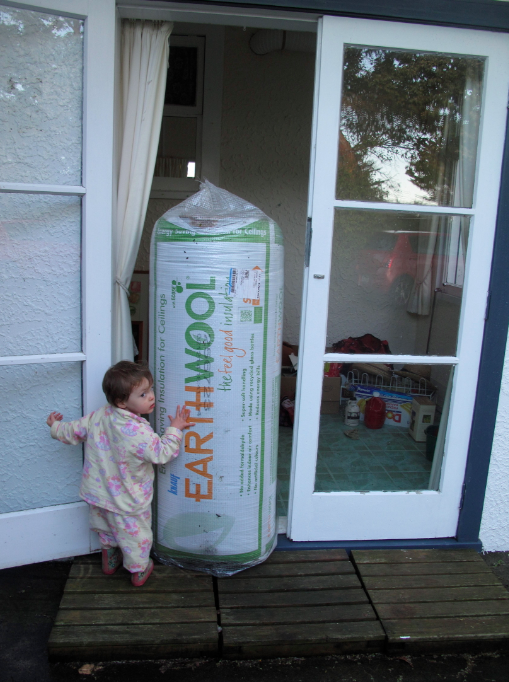 An excellent new-ish product on the market is known roughly as blanket insulation. It is exactly what it sounds like. 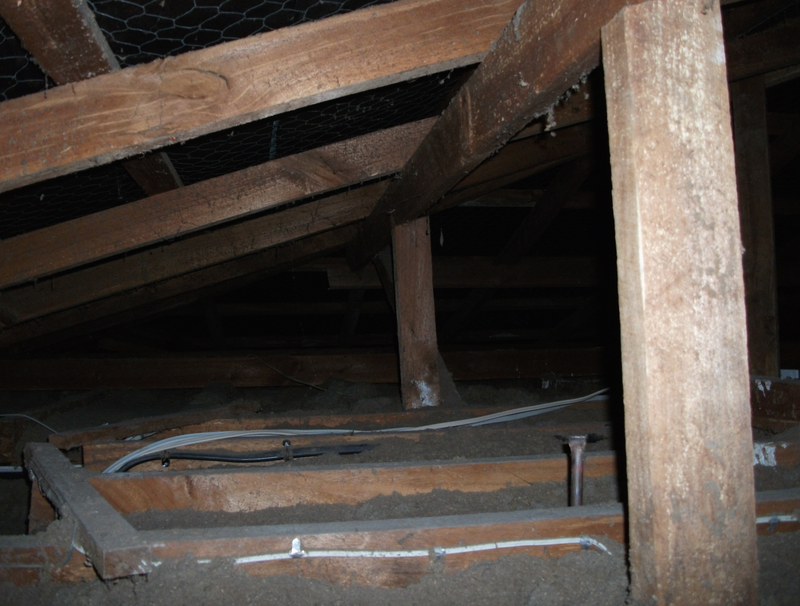 Instead of individual batts that are laboriously placed between the ceiling joists, blanket insulation simply rolls out over the top of the joists and any existing insulation. As such, it is quicker and easier to install, and mildly less expensive to purchase. Additionally, it is a higher performing product because there are fewer gaps between pieces than would be the case of ‘blanketing’ with batts (as we did in our villa four years ago), and it blocks the thermal bridging of heat through the ceiling joists. With a top-up of R 3.6 blankets in addition to the existing batts, we will have a total R-value of over R 5.0 over our heads. This is roughly the same as our villa, but with the added bonus that our new ceiling is 600 mm lower! There you have it: Win-Win-Win as usual using eco-thrifty design thinking. The only Win missing is that of Argentina in the FIFA World Cup. But I have them down to be the surprise champions of this year’s Rugby Championship by upsetting the Springboks, the Wallabies, and yes, the mighty ABS. Don’t cry for me Argentina! 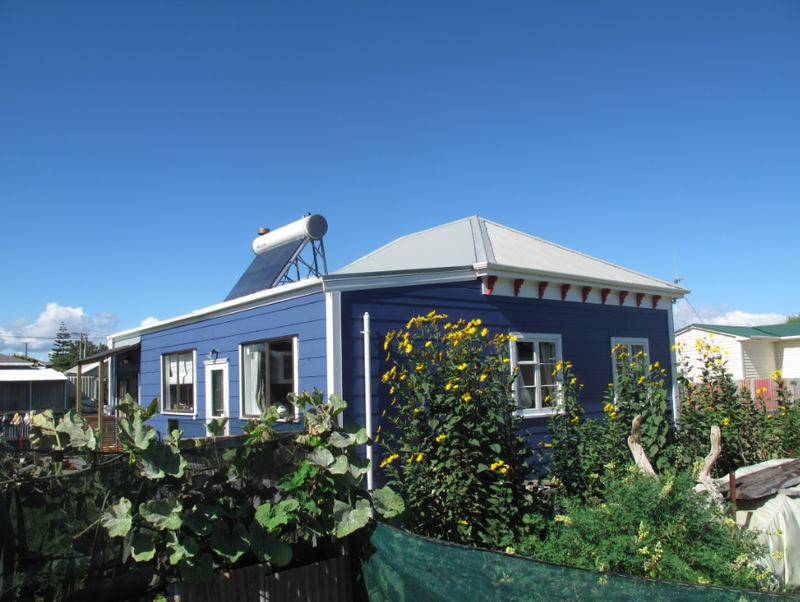 Adult & Community Eco-Literacy Week and Whanganui Permaculture Weekend. A series of high-quality educational events free and open to the public. More details to follow. Innovation, someone once wrote, is in the eye of the beholder. Oh wait, that was me last week. How innovative! Someone else – I’m serious this time – once told me that perspective prejudices perception. In other words, the angle at which we look at something heavily influences the way in which we internalize it. This person was Eliot Coleman, a famous American market gardener and author. I met Coleman about ten years ago, and found him very much of the eco-thrifty persuasion. We got on famously. It will come as no surprise that the eco-thrifty perspective on innovation is very different from the infinite-growth-without-consequences perspective. The latter, what Australian author Clive Hamilton calls “Growth Fetish,” appears to be the dominant perspective of Wanganui District Council, made evident by the stacks of cash it throws at chasing this outdated paradigm. Innovative councils across the country and around the world see beyond a reductionist vision of growth, and have reaped huge rewards. Name any vibrant, dynamic city on the planet with high quality of life for residents and you’ll find innovative planning, programmes, and services provided by local government. Last week I briefly described the Eco Design Advisor service offered by seven councils in New Zealand. The service helps local residents make their homes warmer, dryer and healthier while saving on their power bills and supporting local businesses and trades persons. It is a win-win-win proposition that is about doing more with less, while simultaneously protecting the community from future price rises in energy and health care. 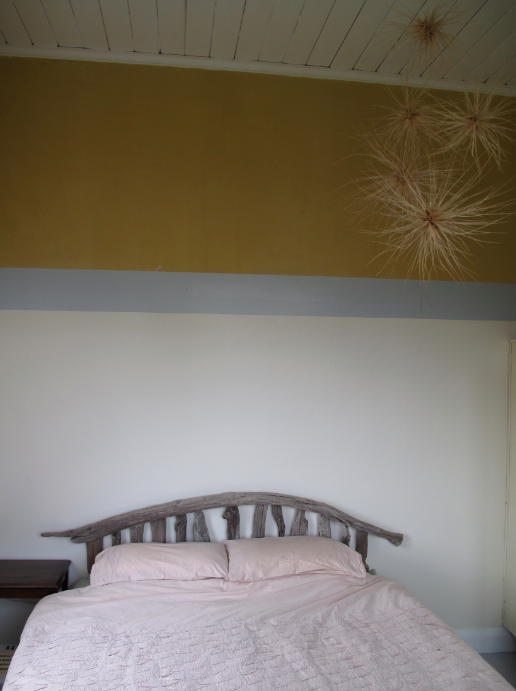 Doing more with less is a philosophy that we have engaged for the last three and a half years while converting a draughty villa into a cosy, healthy, low-energy home. This process involved lots of innovation…depending on your point of view. 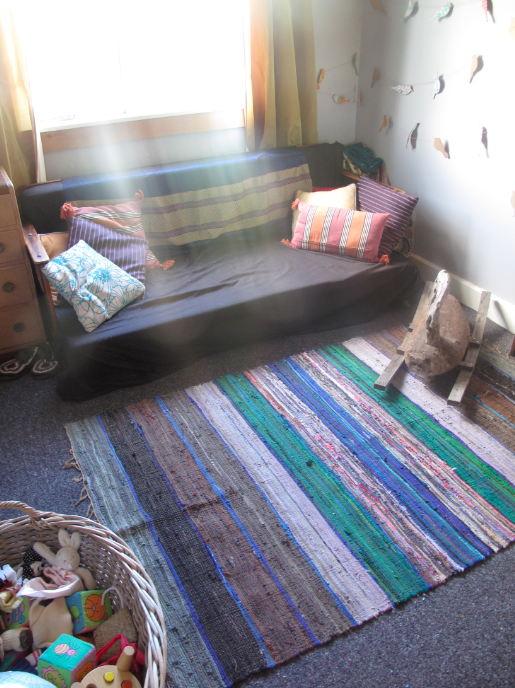 One successful way we do more with less is by using window blankets in our home. These consist of bits of scrap wood and old wool blankets, but can perform as well as double-glazing. I’ve written about window blankets before, and there is a free DIY workshop coming up tomorrow (see side bar). If you plan to attend the workshop, please measure the width of one window in your home (inside the window frame), bring a piece of wood of corresponding length, and a wool blanket or polar fleece fabric. Wood dimensions should be in the range of 12 mm by 70 mm or 45 mm by 45 mm. 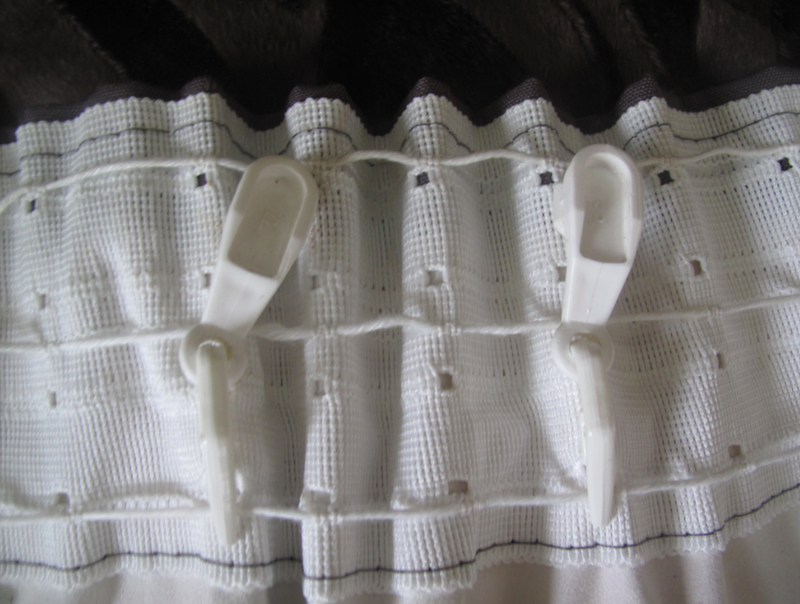 Another innovation that has helped us do more with less involves turning an open top curtain rail into a closed top curtain rail. 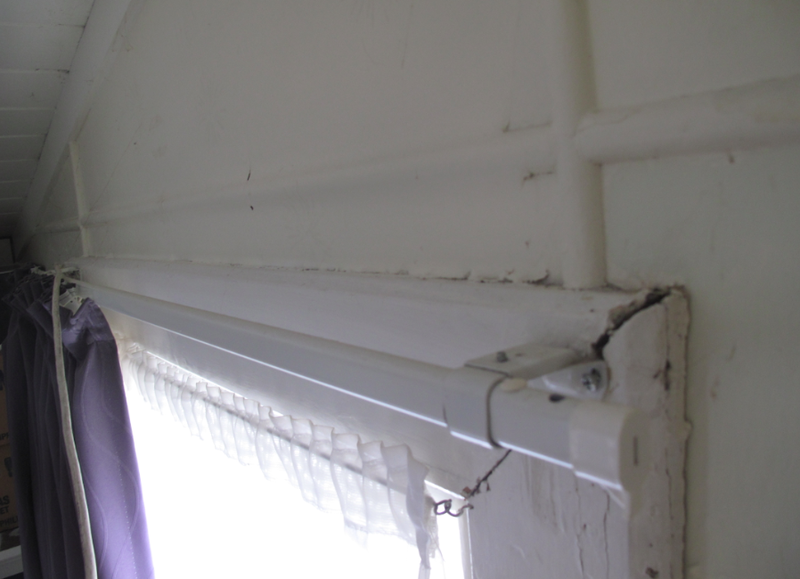 The reason for doing this is that in most cases an open top curtain rail allows warm air to drop behind the curtain and cool off once it finds itself against a cold window. This air cools and sinks, pulling more warm air from the ceiling and the cycle continues all night long. 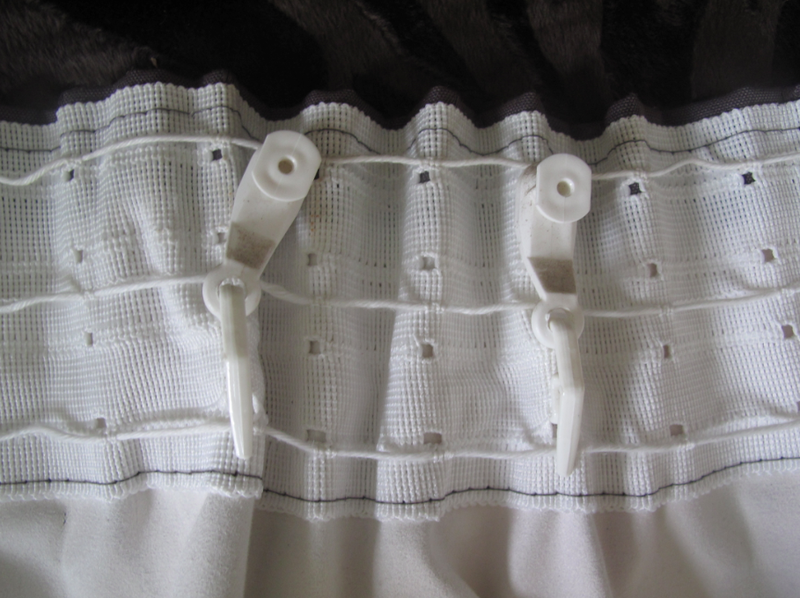 Put simply, you could have the best, most expensive, custom-made curtains in the world but if they are not installed properly they are not effective at holding in heat. 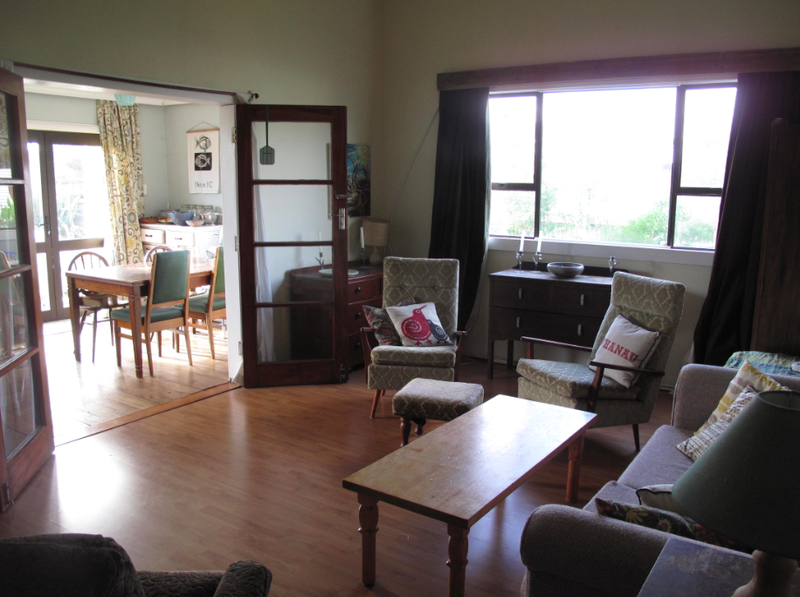 I would estimate that 70% to 80% of all the curtains I see in NZ homes are not hung to maximize warmth retention. What an unnecessary waste! 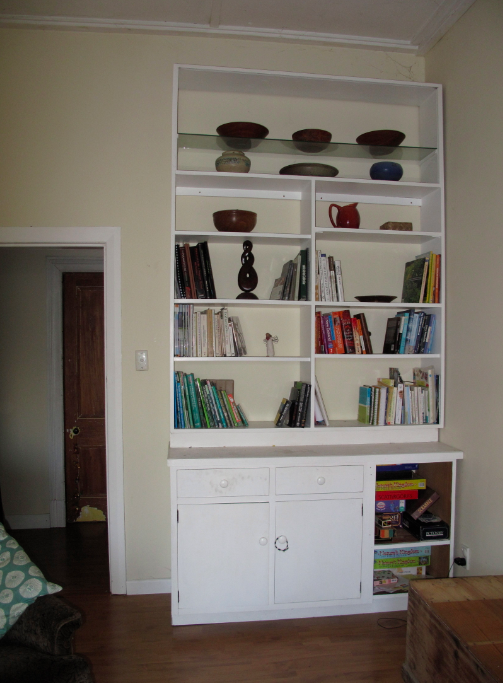 5) be warmer and enjoy lower power bills; 6) praise eco-thrifty design thinking. If you have questions, come along to one of the events listed in the sidebar. 13th – Window Blanket DIY Workshop. 2:00 – 4:00, Duncan Pavilion. For materials info, see above. 16th – Drop-In Healthy Advice. 4:30-5:30, Central Library.